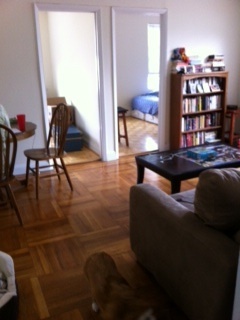 However, we have some furniture now, and we seem to be settling in. As a matter of fact, I have two interviews with tutoring companies in the next two weeks, so fingers crossed I will have a job by the end of September. Here is what will end up being the nursery/spare bedroom. See how we have two twin mattresses but no day bed? Here is the living area. We have one bookshelf that made it, but I am sure a zillion other shelves are in our future. 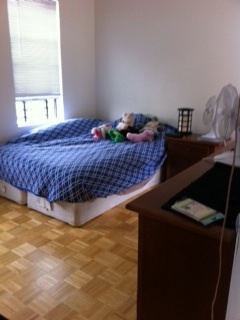 And our bedroom (somehow the bed rails didn’t make it out of storage either). We actually have enough room to put in a bookshelf or a small desk if we wanted to. 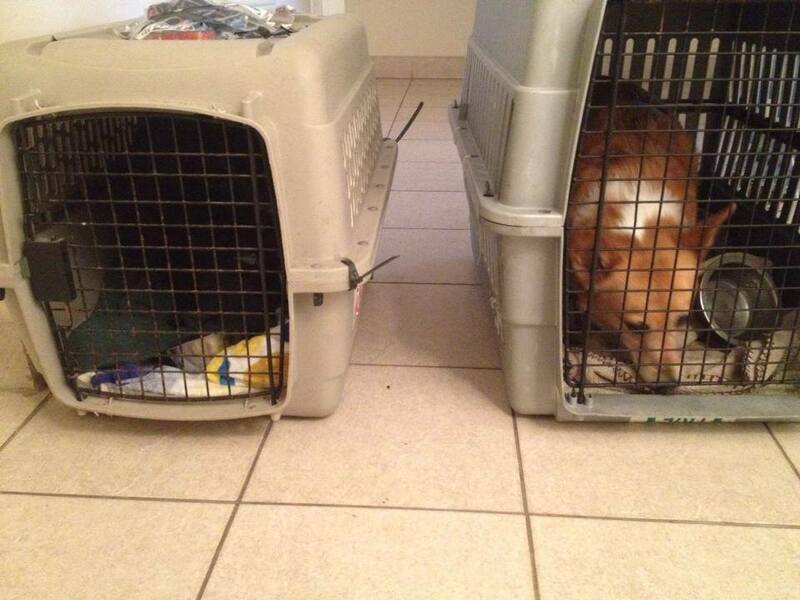 Thanks to the help of my Lafayette “little sister,” the dogs were sent on their way at 4:30 am. Dropping them off was one of the hardest things I have had to do…god help me when we have children; I will be a mess. I checked their tracking numbers, and they have arrived safely in Houston. So one step done; the big flight leaves at 3:30 pm, but Jason will be there to greet them on the other side. 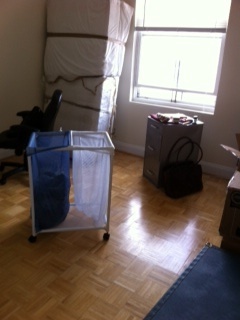 I think I am ready to go, well, except for cleaning the apartment. I have cleaned most of it, but I have to do the stove and the oven. I hope that everything has been taken care of; mail finds it way to my in-laws or Lima; my bills have been taken care of. If not, it should make for an interesting time.